The government still doesn’t know how the national retraining scheme will work or how much it will cost, even though the programme is expected to be rolled out from the summer. 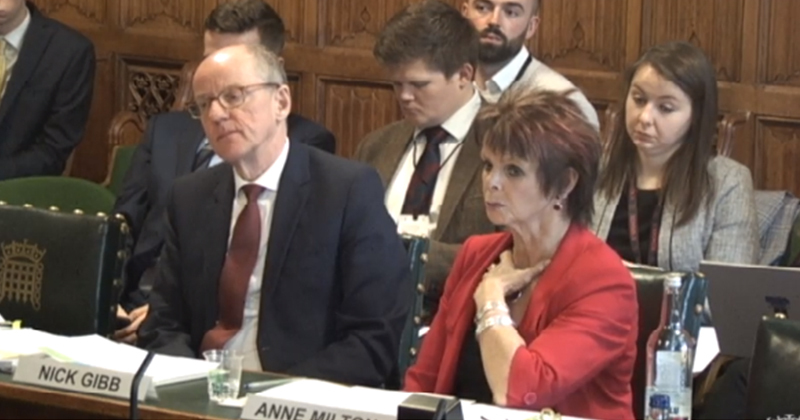 Despite the scheme being mooted in June 2017 and the Department for Education being pushed to share more information about it three months ago, skills minister Anne Milton admitted to the education select committee today that its developments are still in “very early stages”. So far £100 million has been committed to the scheme, but this was mainly used to test out and build the actual service. The actual cost for delivering it is expected to be significantly higher. She only said that some of the £100 million has been spent on research, which she argued to be important to understand what sort of learning will work in different parts of the country. Milton said the government is “hoping to start rolling the scheme out in the summer”, but when pressured by MPs for details of how it will work in practice, they were told “that is part of the roll out”. Asked if there was a timetable for delivery that she could share with the committee, the minister replied: “Yes. As I said, we are very early stages to be suggesting sort of areas. As no firm detail was able to be presented by the minister, Halfon requested assurance that the scheme, which is designed to help adult learners to upskill and retrain, will have “social justice at its core and that it will help those with jobs that are risk of being displaced”. In January, Iain Murray, senior policy offer at the Trades Union Congress, which has partnered with the DfE and Confederation of Business Industry to develop the scheme, told the same committee that despite several detailed discussions, detailed papers around eligibility, sectors, how the service will operate, the government had not yet made any detailed announcements. “We have been pushing the government that they should be articulating a bit more to the wider public about where we’re at,” he said at the time. Murray warned the actual cost for delivering the scheme it could be significantly higher than the initial £100 million. “I can’t put an actual figure on it, but you’re talking billions. It’s major,” he said. The introduction of a national retraining scheme was a Conservative party manifesto commitment in June 2017, and was later reiterated in the Industrial Strategy published in November of the same year. The scheme “will give individuals – particularly those hardest to reach – the skills they need to thrive and support employers to adapt as the economy changes”, the strategy promised. A National Retraining Partnership, which included the chancellor Philip Hammond, the education secretary Damian Hinds as well as representatives from the TUC and the CBI, met for the first time in March last year to begin developing the scheme. In October Mr Hammond announced in his Budget speech that £100 million had so far been committed to the programme – which included £64 million from the previous year’s budget to get the ball rolling with pilots in digital and construction skills. Seems very reminiscent of the old response to redundancy and train to gain, programs, which gave a lot of money to private training providers, a trickle to adult learning and overall did nothing particularly beneficial in the way of retraining for worthwhile jobs.